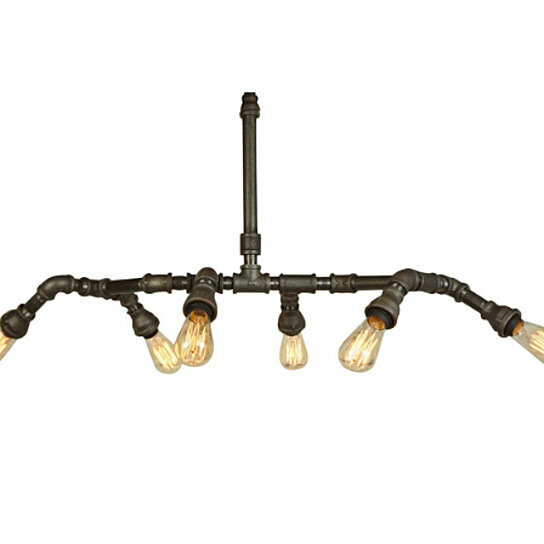 Six Edison light bulbs projecting out in all directions give the Remington an interesting and cozy glow. The heavy iron has been left unfinished to lend to that classic industrial look and feel. Includes all hardware for an easy installation. Our products are uniquely handmade. Any of our lights can be used with a wall dimmer to soften the glow and will work with the energy-saving lamps (LED) or Incandescent (Edison Industrial) bulbs. All hardware is included for an easy install.